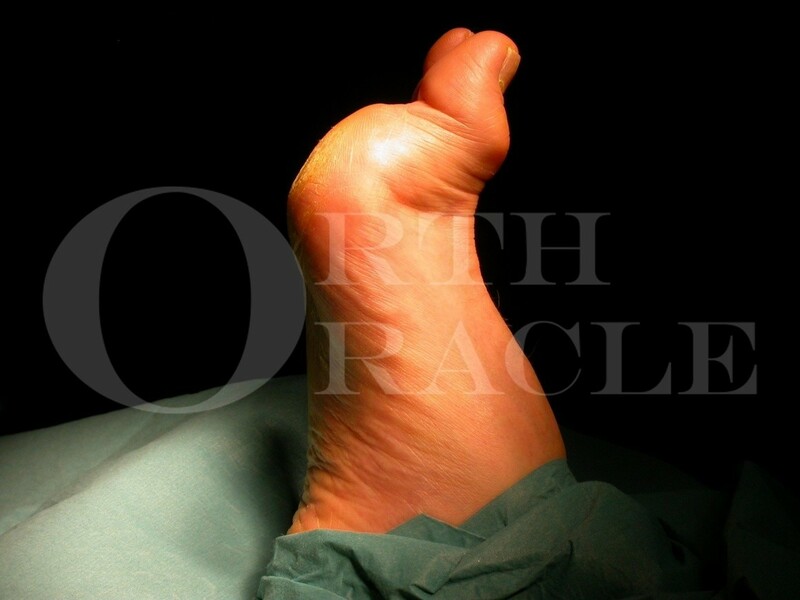 Learn the Claw toe correction: Jones procedure and Hansens’ Flexor hallucis longus transfer surgical technique with step by step instructions on OrthOracle. Our e-learning platform contains high resolution images and a certified CME of the Claw toe correction: Jones procedure and Hansens’ Flexor hallucis longus transfer surgical procedure. The Jones procedure is a straightforward operation for correction of the significantly clawed great toe. It is most often carried out in the patient with underlying neurological disorder and may well be part of a more comprehensive overall cavus foot correction. It is highly effective in relieving the painful pressure points resulting from a clawed hallux in the neurological foot but does not produce a normally functioning great toe. Gait abnormalities, hallux flexus and hallux limitus are common post operatively. An alternative to consider, especially in the more active and less neurologically challenged patient with a flexible deformity, is Hansens’ technique of transferring the flexor hallucis longus to the base of the first proximal phalanx. This technique is also covered at the end of the section.